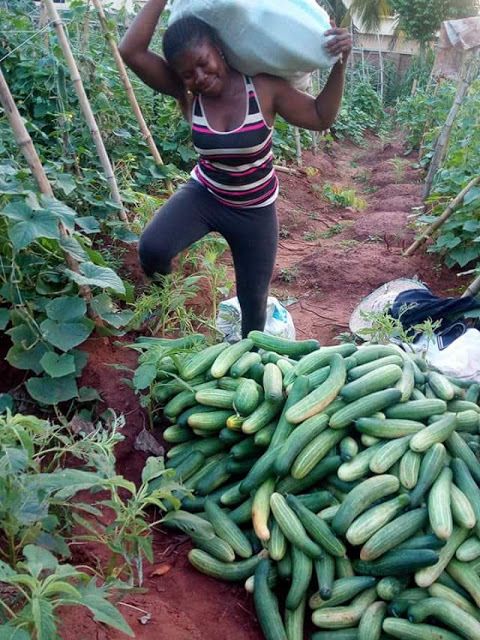 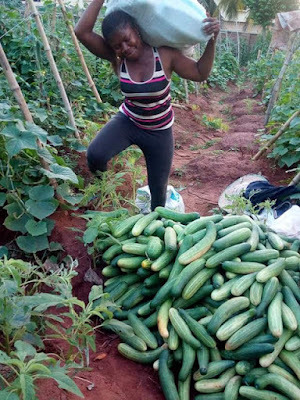 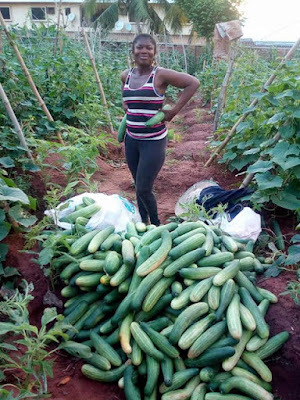 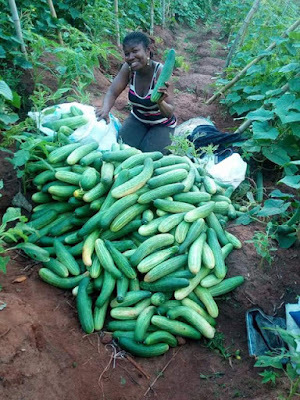 A Nigerian Cucumber farmer, Mgbeke is over the moon after a bountiful harvest. 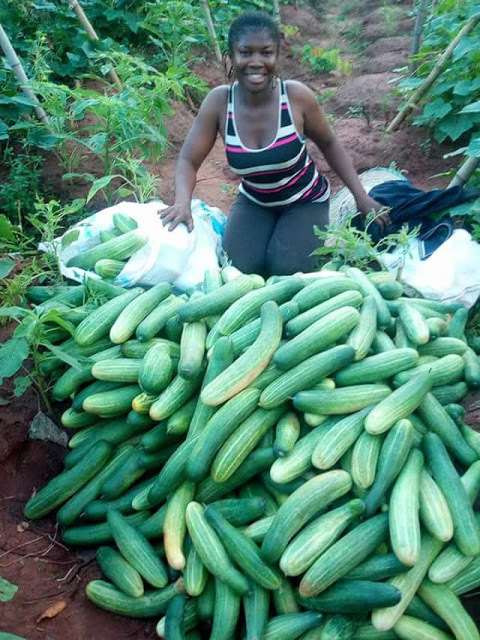 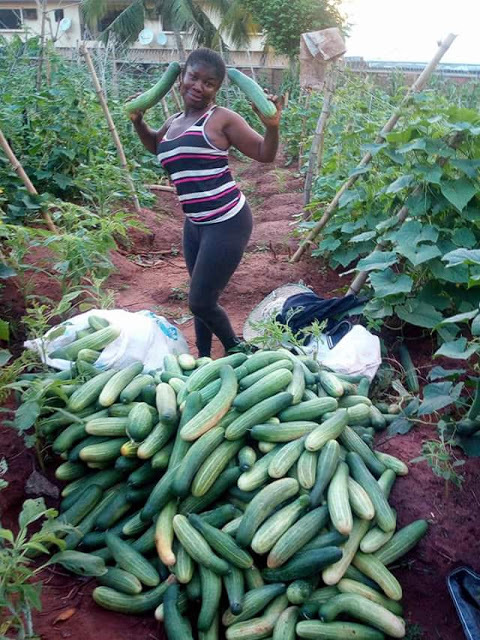 Taking to Facebook, she posted photos of the the Cucumbers she harvested from her farm in Anambra State. 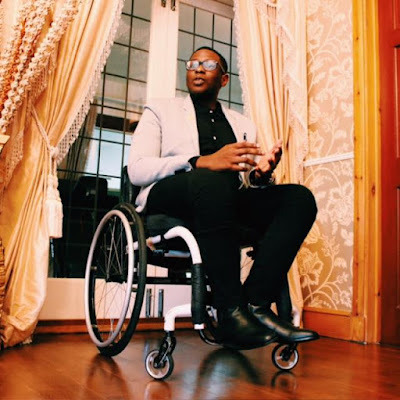 "And I still confess that my God is still extraordinarily awesome, faithful and dependable. 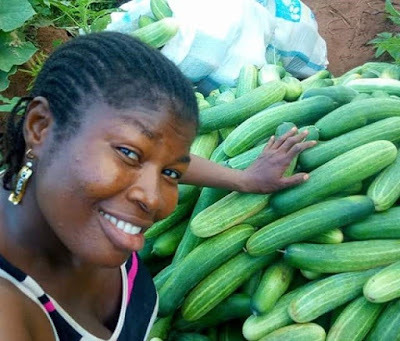 Impossible is nothing.... 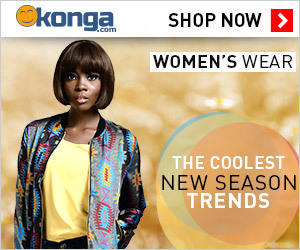 Forget thou not"